Rugs can add a pop of color to a room or tie the whole theme together. But when they appear to look less than their best, they can make your home look less than topnotch. Rugs present a real conundrum to home and business owners, however. You simply cannot throw your rugs in your washing machine or beat all the stains and grime out of them. So what do you do? You call people like those cat Carpet Cleaning Coral Gables, that’s what! 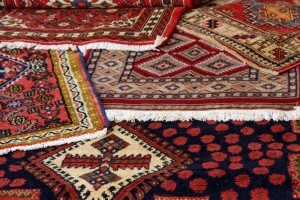 They help you to clean your rugs with knowledge and equipment that you simply do not have in your home. In just a few days, we can make your rugs look brand new and great again. As mentioned above, most people do not have the proper equipment or cleaning supplies to clean their rugs in their own homes. But, other than that, why should you contact a professional cleaning service to have your rug cleaned? The reasons are many. Skimping on paying the price for a professional service can result in your rugs not looking so great when you get them back. 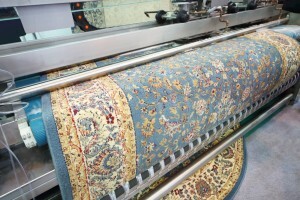 In some cases, you might even receive a rug back that has been damaged. When you contact Carpet Cleaning Coral Gables, however, you can rest assured that your rug is in the best hands possible. Each of our cleaning technicians is trained in the latest in green techniques, using all-natural products to make your rugs look great once more. What does dirt and grime do to a rug? Over time, it causes colors and patterns to fade. Spots and stains can appear from pets, children, or with heavy foot traffic. When in your home, having a dirty rug is one thing. Your home might not look as great to those who happen to be over at your place or those who live in your home. But having a dirty rug in a place of business or institution could also be a real issue. It reflects negatively upon you, all of your workers, and even your business. But with a simple quick cleaning your rug can look great again. Details and colors will come back to vivid life. When your rug is laid down upon tile or wood floors, it will shine again. Seeking a great, local business to help you renew your rugs in a flash? Want to turn to someone you can trust to preserve even your oldest and most fragile rugs? Seeking a fantastic service that cares about the environment as much as you and your family does? If so, then give us here at Carpet Cleaning Coral Cables a call at (786) 373-4010. 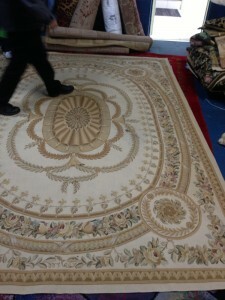 We can tell you more about our pricing, or schedule a time to come and pick-up your rug that needs cleaning. Then, we can bring a clean rug back to you in just a few days.